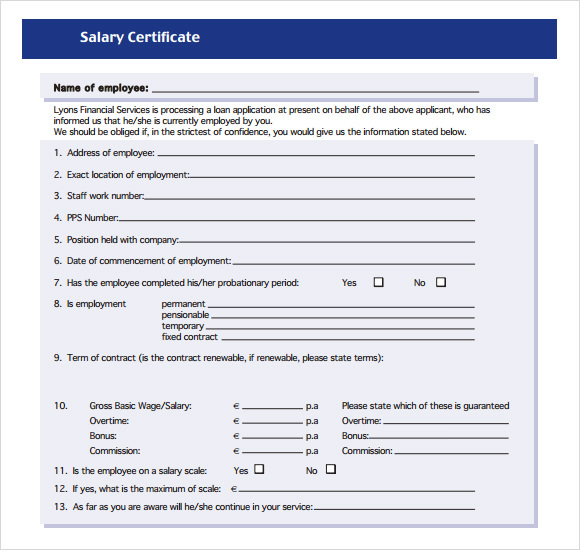 Individuals working in companies required salary Certificate Templates to access the necessary information. 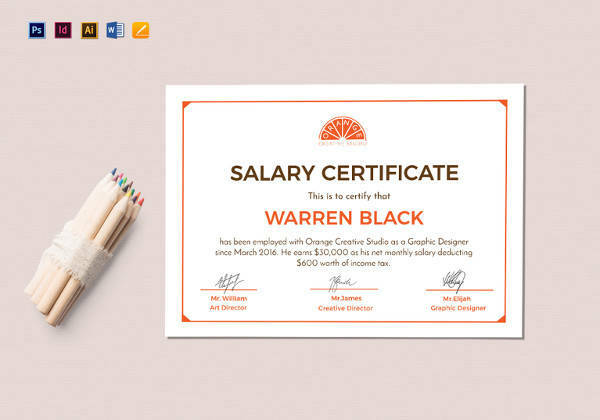 It is a legal document used to bolster the career chances in the future. Instead of purchasing the sample, you can download a free version from the online website. 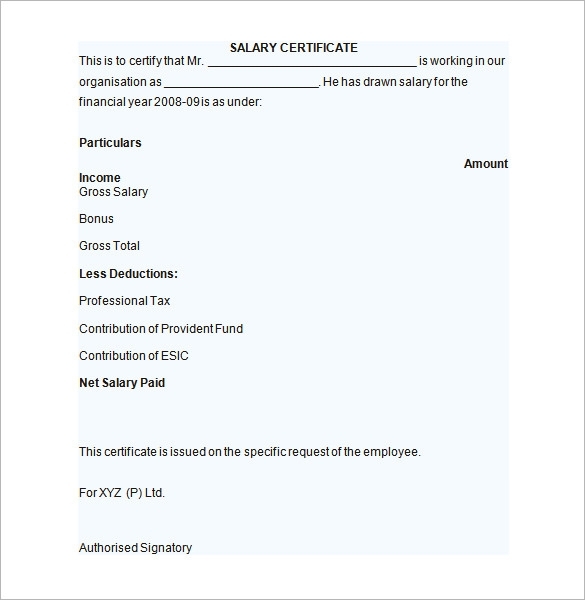 You can enter the information related to the salary figures so that they can be referred to the future date. 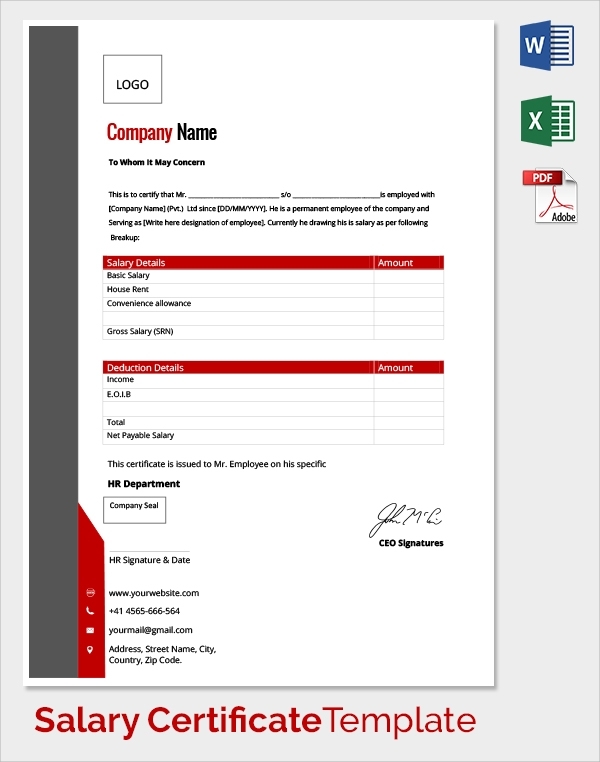 The template is designed with a particular structural theme to capture information of the employees. 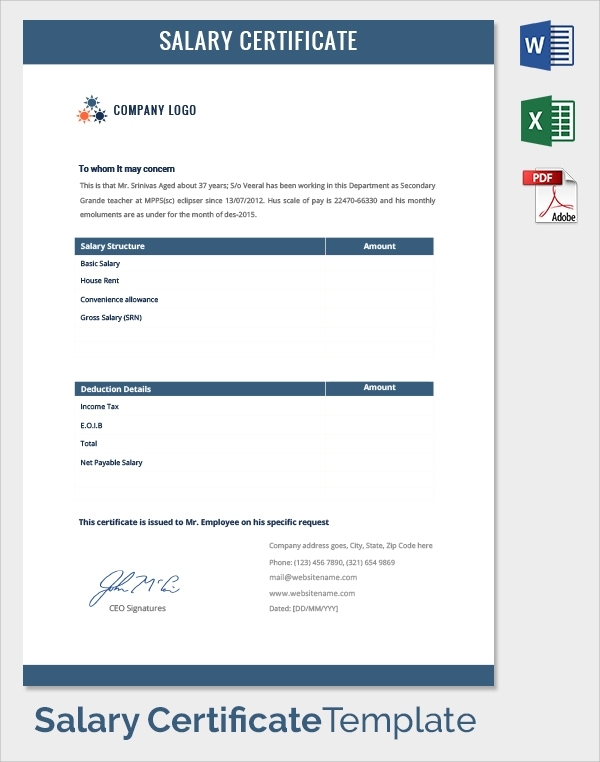 At the top of the page name of the individual should be entered along with basic pay and the different components. 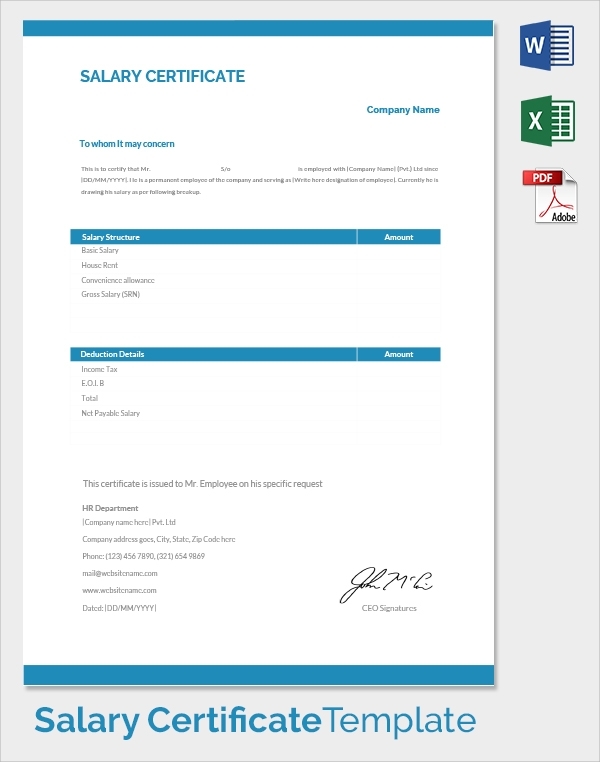 Text contained in the template is written in a professional manner to ensure that the document is genuine. 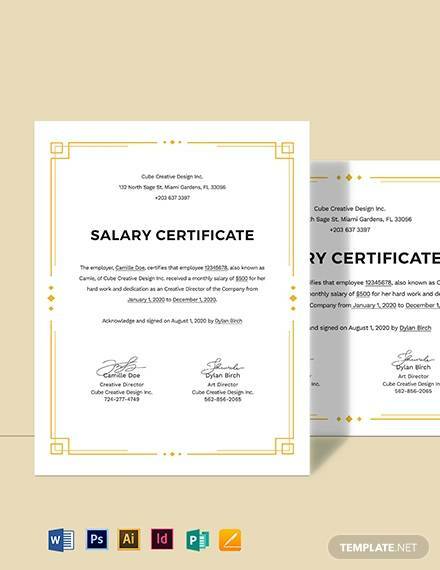 A salary certificate is essential for the management to evaluate the pay packages of the people working in the organization. You should enter correct information under the relevant headings to avoid confusion. 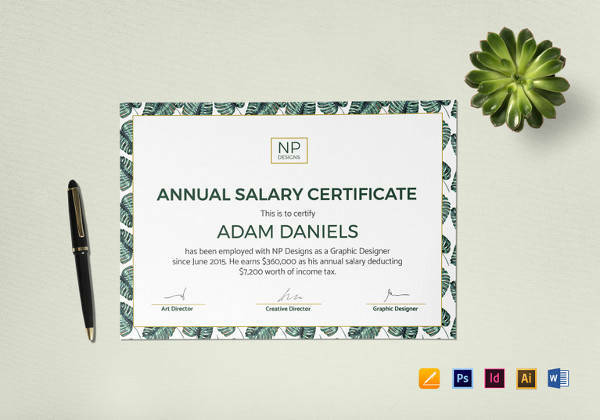 In past, people bought samples in the online and offline mode however availability of free templates has made the whole process efficient and cost effective. One can generate multiple copies according to the requirements of the users. 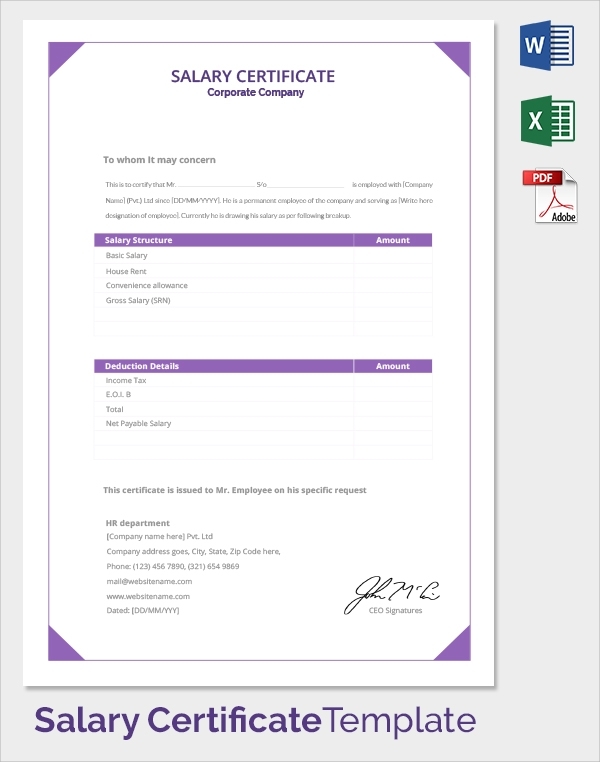 In addition, the bottom of the page also contains free space for the signature of the employers as evidence that the document is legal. 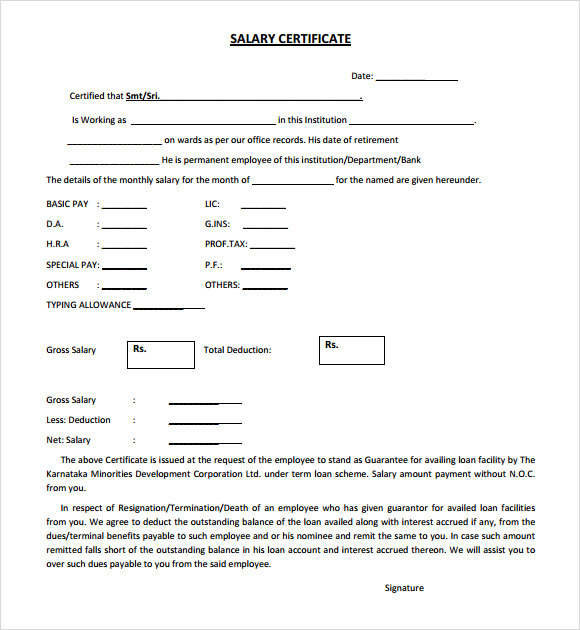 It is used while preparing the salary of the employees. 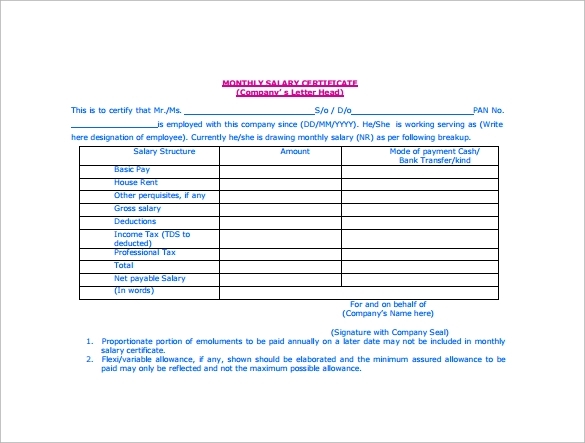 Template is essential because the major expenditure of the company is spent on paying the required wages. 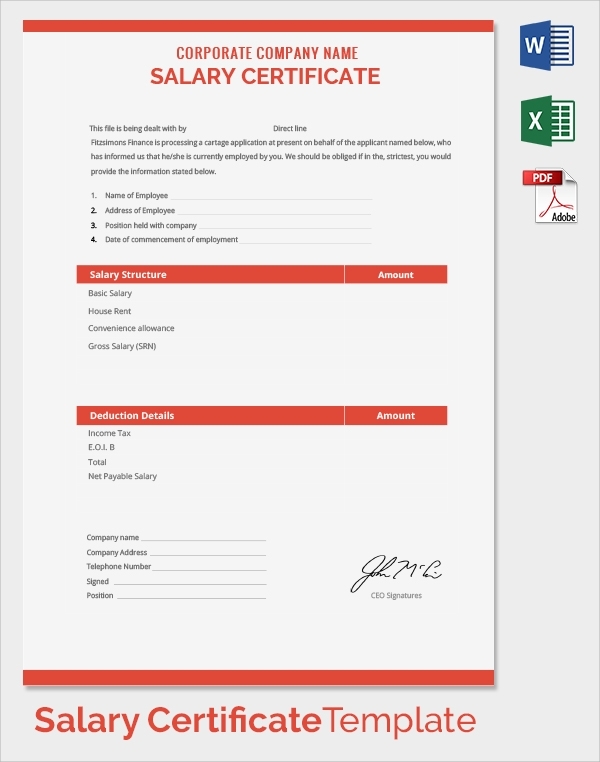 The information can be represented clearly and help companies to keep track of the finances in an impeccable manner. 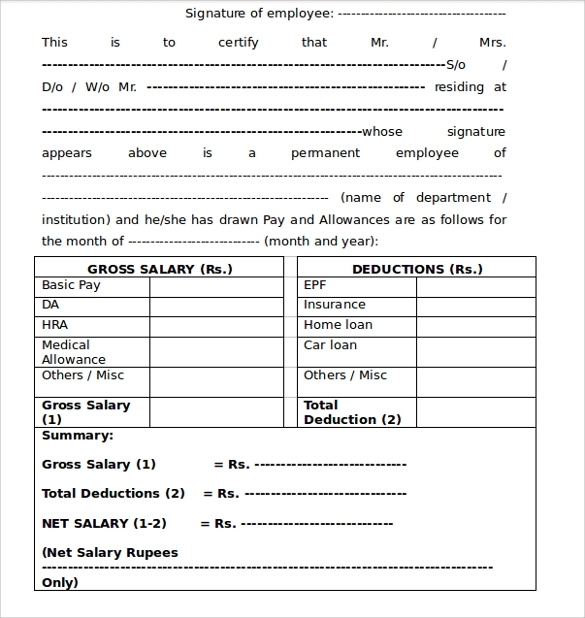 The salary break up into the basic pay and HRA is provided under different headers; therefore, the management doesn’t have to create a format from the ground up. 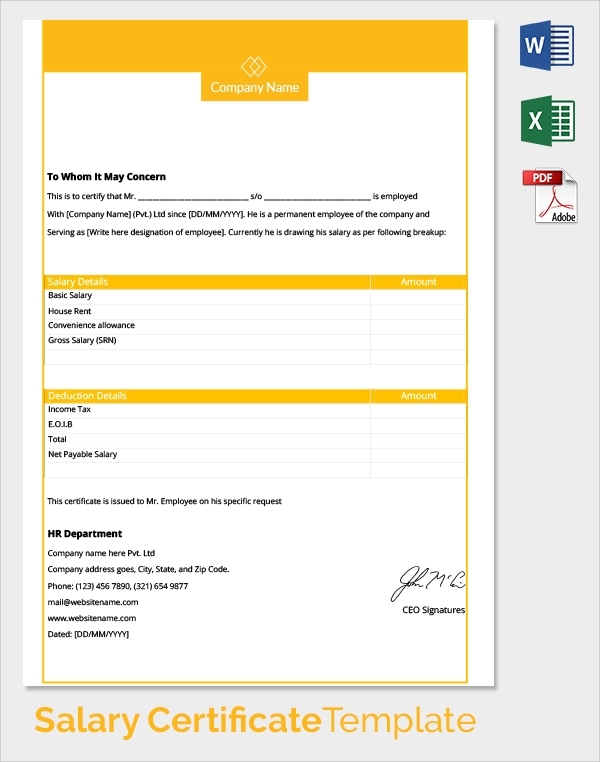 Templates play a vital role in creating documents within the stipulated time frame without any error. They can be downloaded in the word and PDF format for further references. 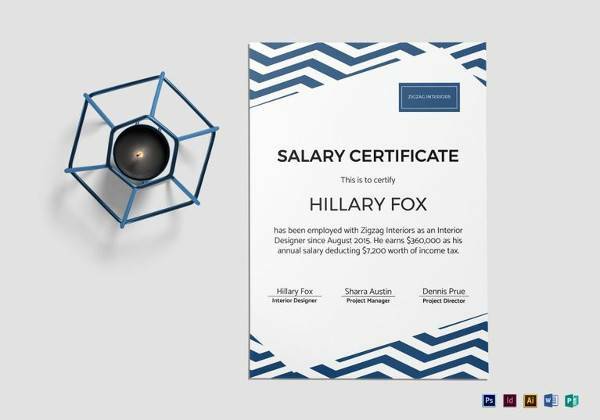 Educational institutions and business organizations use the salary chart to optimize the operations and find the exact information about the employees. 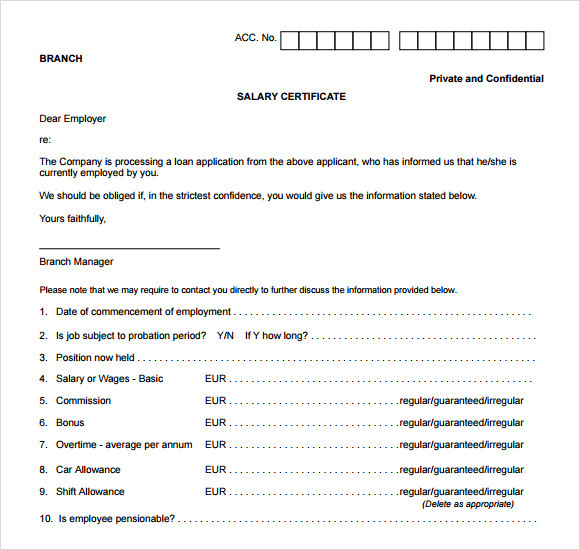 If an individual is switching jobs, the document is an evidence of the amount of salary drawn by the previous company. It will be quite helpful for the management to arrive at a logical decision. 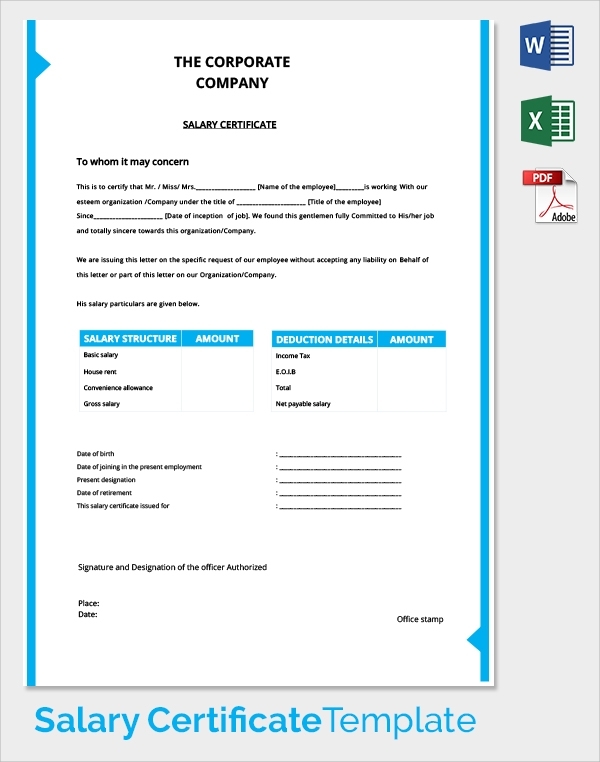 At the bottom of each Word Certificate Templates , the employer has to pledge that the information is true and validated. 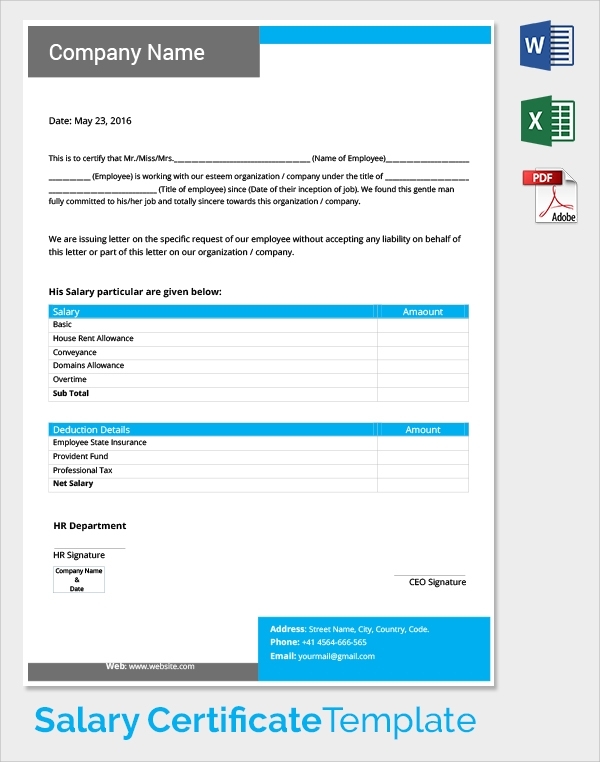 Since the templates are designed in a predetermined format, you are only required to enter the relevant data however it is also possible to initiate change in the online document after the download. 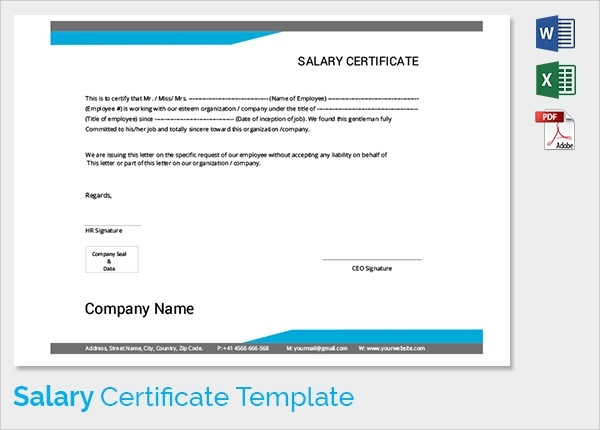 There are numerous benefits of using the salary certificate templates. To start with, it helps to save time and precious resources. 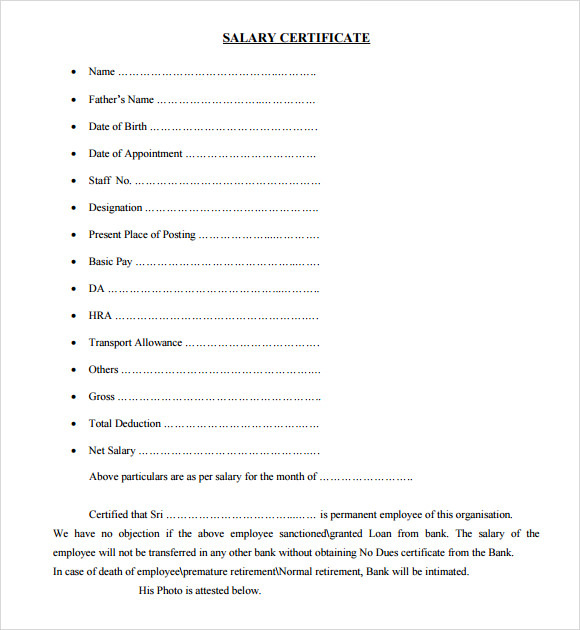 Since the information is divided into headers, it is easier to prepare the salary without any hassles. 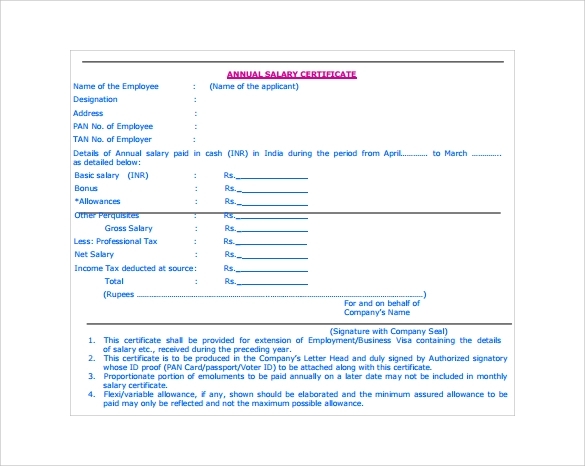 Template can be used as legal evidence in the case of any disputes or claims in the court of law. 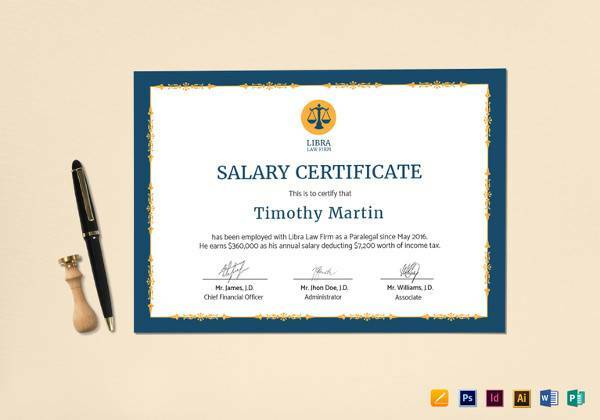 The online website contains many options in the form of pre-formatted salary certificates that can also be customized according to the preferences of the employers. Templates are designed with exclusive details to help the users in accomplishing the tasks. It plays an important role in streamlining the human resource department to a great extent. 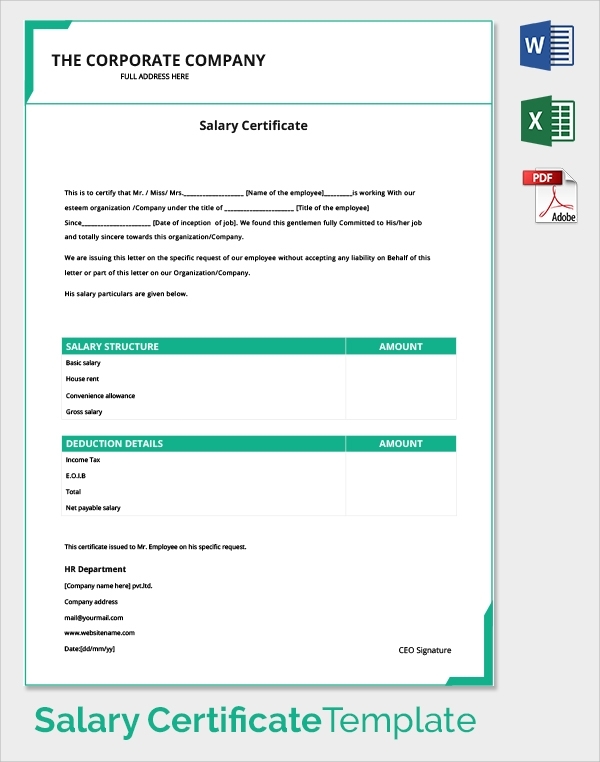 With the help of the templates, it is possible for the management to prepare salary slips without delay, thereby increasing the efficiency of the organization.